I spotted this too - excellent stuff. I look forward to reading your thoughts on the gig. This album is the one I am really waiting for this year. 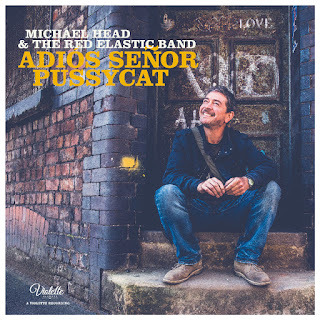 Michael Head, as some may have realized by now, is a true favorite of mine. His career as a songsmith has been more than a rollercoaster ride and that he's come out the other side as brilliant, if not more brilliant a writer than when he started is a testament to his love of his craft. The first track release, from Adios Señor Pussycat (could there be a cooler title? ), Josephine is simply a thing of beauty and the latest taster, Rumer is a beautiful ode to love lost and love cherished. I leave for Cadiz, Spain in 2 weeks and I will happily admit that I listen to his track of the same name from the 2015 Artorious Revisited EP every day. 20 October can't come too soon! Glad you're ok Echorich. I hope your place isn't too badly affected. Count me in. Gotta have this one.